If you have a PlayStation 4, you might be starved for exclusive games right now. PlayStation VR costs more than your console did and sounds like it has some problems. “No Man’s Sky” (which isn’t on Xbox One) came and went, and “The Last Guardian” is a question mark. “Gravity Rush 2,” the sequel to the cult classic PlayStation Vita game, would have been a quality PS4 exclusive this December, but that isn’t happening anymore. In a post on the PlayStation Blog, it was confirmed that “Gravity Rush 2” has been delayed until January 20. The blog post doesn’t give an explanation for the delay, but to make up for it, the game’s post-release DLC will be free now. It was previously planned to carry an additional charge. 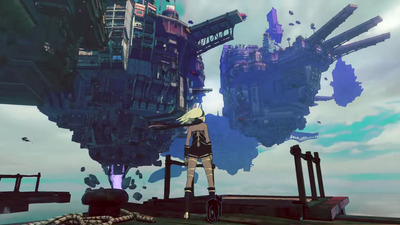 “Gravity Rush” is about Kat, a girl who lives in a fantastical floating city. It’s an open-world game where the player can manipulate gravity by merely pointing in a direction and pressing a button, meaning you can essentially fly around the world and mess with enemies as you please. The original game generated attention with its unique gravity-shifting mechanics and visual style. The scope of the game and the size of its audience were both inherently limited by being on the Vita, but it’s since been ported to the PS4. The upcoming sequel is a PS4 exclusive.